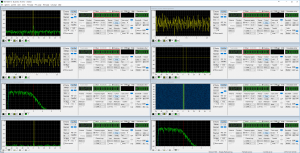 The combination of the SRM-3000 digital receiver and the Krypto500 suite presents a new level for the development of high-channel density advanced multi-channel COMINT SIGINT Electronic Warfare (EW) systems. Digital receivers are devices that down-convert RF signals from an antenna input to an intermediate frequency (IF) or baseband (BB or IQ) delivering the result in a digital format. The benefits of having the ADC integrated directly to the tuner is improved signal integrity due to accurate matching of the two stages as well as improved ease of use and reliability due to elimination of cabling between the tuner and digitizer. In the case of a multichannel digital receiver the digitization process of the wideband IF will be done by multiple digital tuners, or digital down converters (DDC). The created multiple narrowband portions of the wideband signal will then be delivered as separate streams, this process is called channelization. 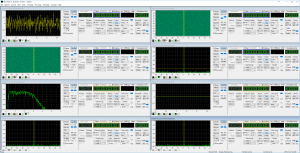 The SRM-3000 digital receiver has a 40MHz instantaneous bandwidth, with its IF digitizers it can process as many as 16 channels out of the digitized wideband streaming. Resulting in 16 channels with up to 200KHz of bandwidth each. Built-in SIGINT collection tools in the Krypto500 and Krypto1000 SIGINT software suites allow for manned or unmanned collection and manual or fully-automatic scanning, decoding and fingerprinting operations. The collection tool set can drive the SRM-3000 to record based on schedule or via any of HUNDREDS of triggers using ANY combination of modem decoder or voice detector. The SRM-3000 can provide a up to 200Khz wide I/Q stream, sufficient for analysis and collection of several channels of most signals, particularly in the HF range. Highly-accurate Voice Activity Detection (VAD) for SSB voice is a standard tool as are modules that allow targeted scanning and manual or automatic collection of known or unknown frequencies of interest. 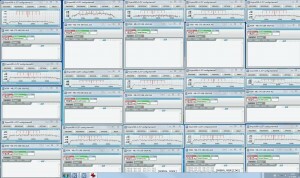 This can be used for either live monitoring or completely-automated collection. Digital data representing the quantized IF signal is presented to a signal processor via a digital interface. Both the SRM-3000 and Krypto500 can make use of a gigabit Ethernet interface for streaming the data. This allows the digitized data to be routed via a front-panel fiber-optic/copper interface to a standard network infrastructure. Making use of these multi-gigabit serial data interfaces found in modern computer infrastructures provides a reliable high throughput data transfer. With the built in remote control interface of the SRM-3000 receiver Krypto500 can fully control the settings for frequency and other main parameters to any of the 16 receiver channels from a remote computer on the network. 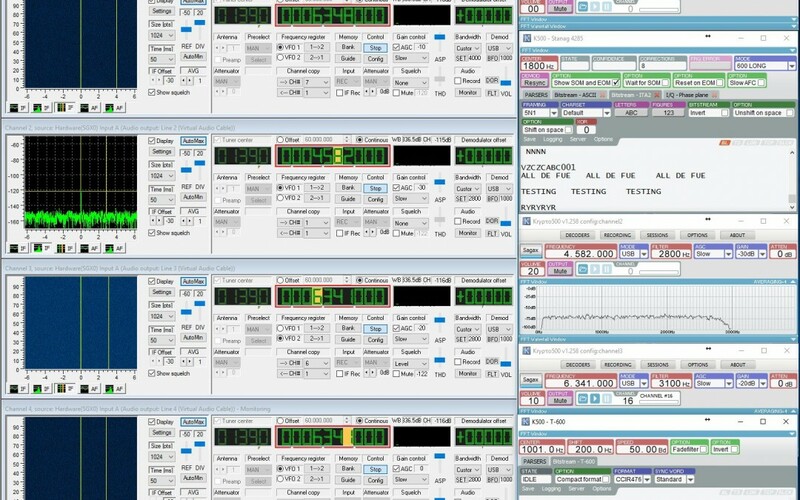 When more than one instance of Krypto500 is running on the network it will be possible to divide the 16 channels of the SRM-3000 to these computers. 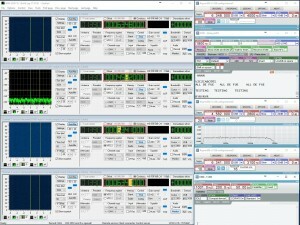 This creates a more flexible system as we now can let one computer run preset automatic tasks for several channels and use another PC for example to control some channels for manual search. If one has such huge amount of channel processing capability it will need a high-channel count receiver subsystem. As one can run more than one instance of the SRM-3000 multichannel digital receiver at the same time on a computer and feed all the data in to a single instance of Krypto500 providing all the decoding capability, this combination provides a future proof, flexible high capability COMINT system. For additional system components please visit our SRS-3000 search and intercept receiver and rf record and playback server record and playback server.